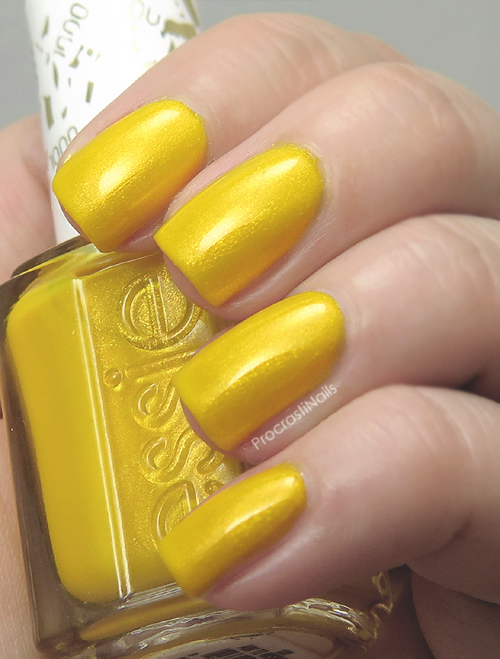 Today we're looking at some swatches of Essie's 1000th shade - Aim to Misbehave! It's a bright and bold choice for a milestone shade and definitely not what you would expect from a brand like Essie who used to be synonymous with 'soft salon pink.' As soon as I saw this released I knew I had to have it which is really odd considering I'm definitely not a yellow fan normally! Yet here we are! Even as a non-yellow lover I can say this is a fun and pretty unique shade. 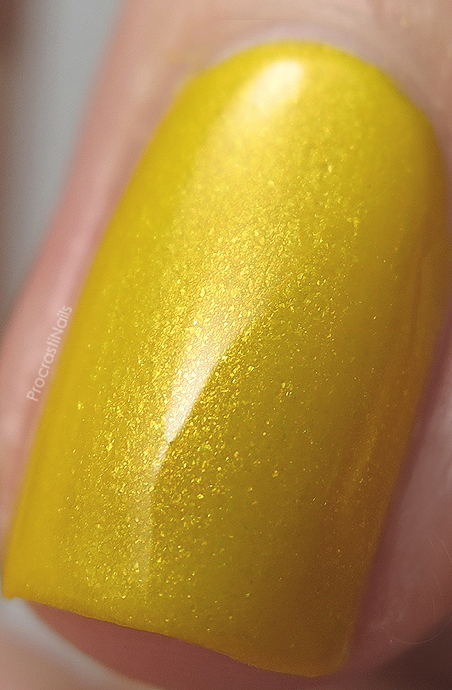 You don't see many mainstream lines coming out with yellow polishes so this was a nice breath of fresh air. What do you think? 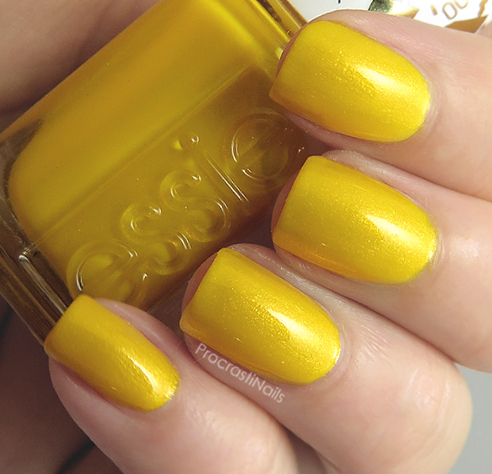 Yellow shimmer - love it or hate it? Fun yellow with the shimmer in it. This is a very pretty yellow! This is a really nice color! 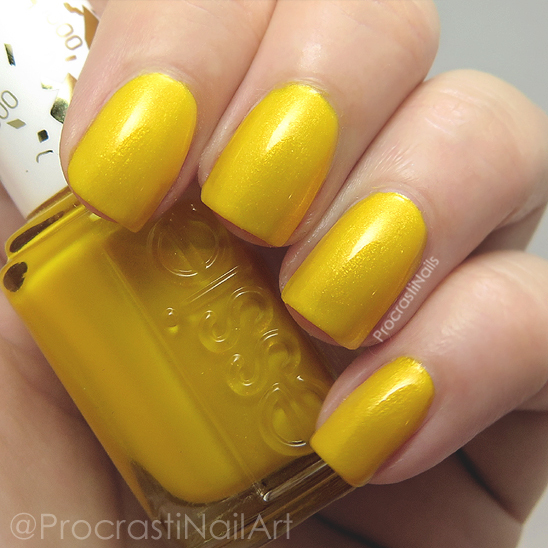 I'm usually not a fan of yellow polish either, but I'm liking this one! I am loving this yellow. That gold shimmer is stunning. But I can't stand Essie's formula. It keeps me away from the brand. I can see why you like it - it looks fantastic on you! This polish looks so great on you! I admit I didn't like when they announced this shade to be the celebratory one, yellows are always hit or miss with me.